Written by Scott Dickinson on 14 April 2019 . Doug Hinge is an artist based in Newquay, Cornwall who started his artistic career in the late 1970s with abstract collages, he then moved on to landscapes and seascapes in the 1980's. He continued with these, selling them through his own gallery, from 1982 for many years. Doug has now gone on to supply several local galleries in Cornwall with his new contemporary style paintings of Cornish Harbours and places. His new style is quite unique. 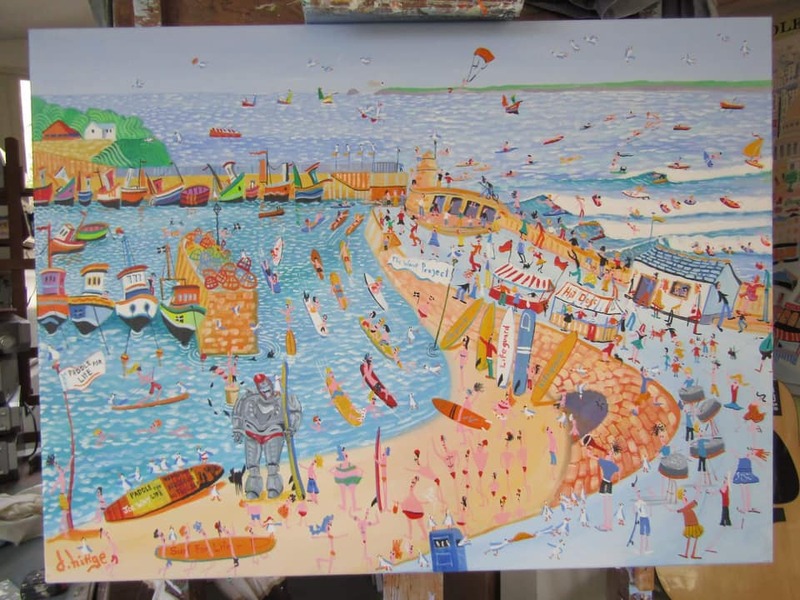 Paintings with character, boats and buildings in bright cheerful colours, and seaguls with attitude. Doug said, “These paintings have a sense of humour which should bring a smile to your face and after attending most of Joe’s paddles over the years and seeing how they have grown into this fantastic community event it was a real pleasure to capture this on canvas”. Dougs oil painting is on ebay for the next week and you can bid on it at https://ebay.us/8RKhAf with all the money going to various charities. 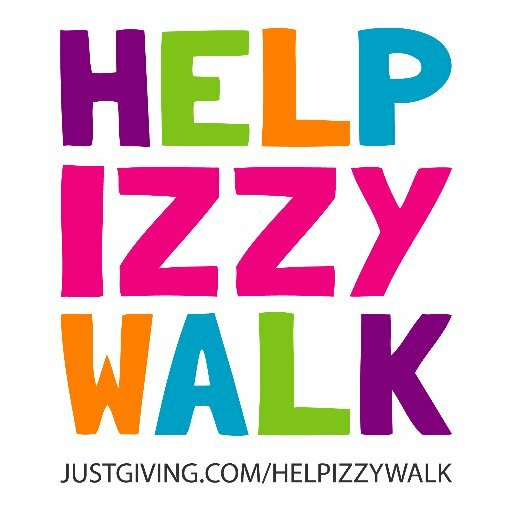 Who will support this years Paddle as a £500 sponsor? Written by Scott Dickinson on 10 March 2019 . The Joe Way Paddle was set up after our son passed away in May 2008 aged 4, the Paddle celebrates Joes life, tell his inspirational story and has supported over 20 charities and worthy causes. 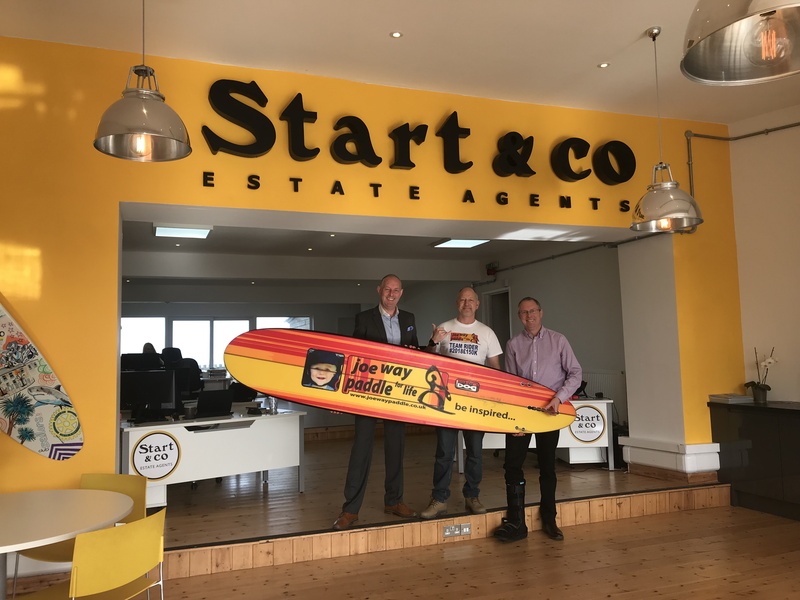 We have Start and Co estate agents sign up already for this year as a sponsor which will see our total raised go past £160k over the last 12 years since Joe passed away. All of last years sponsor pot of £2000 went straight to charities, you will pay the money into the Newquay Towan Blystra Lions account as they are responsible for the finances as part of our partnership deal and they can provide a receipt for tax purposes. Start and co Estate Agents have stepped as the first sponsor and we are looking for three more at £500 each. We are nearly at £153K and we are aiming to raise £8k this year to take Joes Appeal to over £160k for 20 charities. We raise money through entry money, food and drink sales which the totals all go in the pot as the food is cooked and supplied for free along with our prize draw. 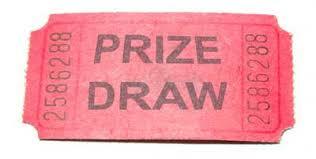 Tickets for the prize draw will go on sale from the end of this month and any charities or groups that sell tickets will have that amounted donated to them. 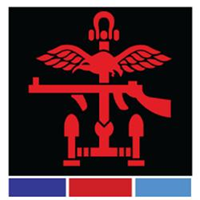 Written by Scott Dickinson on 01 September 2018 . The eleventh Joe Way Paddle for Life got underway with a spectacular scene, as three skydivers from Cornwall Skydive jumped from a plane at just 2,000ft, landing on Towan beach with a small amount of beach to sparer. There were gasps and cheers from the crowd of over 1000 including 400 who entered the Paddle for Life this year. Local boy Joe, was born with a rare genetic condition called Angelman’s Syndrome and died on the 7th May 2008 aged 4. He had been labelled a miracle boy after surviving meningitis, a potentially deadly skin reaction SJS and survived numerous super-bugs. He sadly died of complete organ failure after suffering from Steven Johnson Syndrome for a second time. 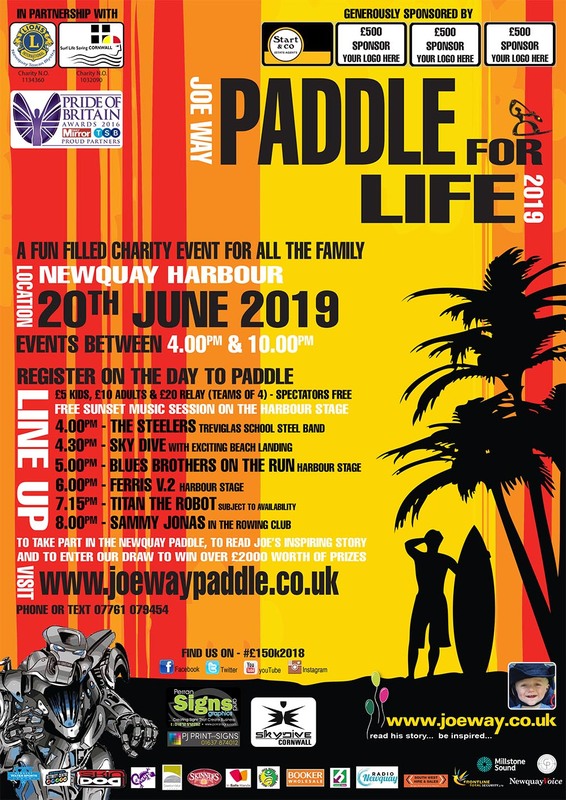 The Joe Way Paddle for Life is in partnership with Newquay Towan Blystra Lions Club and Surf Life Saving Cornwall and at this year’s event raised a record £6,200.00. This was a combined effort of money raised from the paddlers entry money, food stalls, drink sales at the rowing club, prize draw raffle, sponsorship and local charities along with Surf Life Saving Clubs sell prize draw tickets leading up to the event. The Prize draw consisted of singer song writer James Morrisons signed guitar, a holiday at award winning resort Gwel an Mor in Portreath, Skinners brewery tour, Pastel painting by John Shipley, indo Board and a Skindog surfboard. The burger van operated by Ultra entertainment with all the food donated by Bookers in Newquay, Coastal Crepes, Skinners Brewery and the Newquay Rowing Club all helped to raise money to get the charity event over the £150k mark this year. The Garage Company have supported the event for the third year running and was joined by The Boardroom Surf shop, Bretty.me.uk and Acorn Holiday Parks. Each of the sponsors donated £500.00 to get the charity pot started which raised £2000.00. The charities that are receiving donations this year are The Children’s Hospice Southwest, Cornwall Hospice Care, Lusty Glaze Surf Life Saving Club, Newquay Surf Life Saving Club, Sainsbury’s chosen charity, Cornwall Surf Life Saving Club, Bowel Cancer West, The Wave Project, Cornwall Air Ambulance, Ronald Macdonald House Bristol, Just Breath Cornwall, Cornwall Blood Bikes, Surfers against Sewage, Towan Blystra Lions and Reggie Harding whose parents are fundraising to ensure Reggie has some life changing surgery. The annual charity paddle has a great musical sunset session and this year's line-up consisted of Steel Appeal, local sensation Daisy Clark, The Blues Brothers on the run who ended up running through the crowds in front of the rowing club whilst performing and Ant Durkin’s Silent Disco had a great set in the Rowing Club. Titan the Robot strutted his stuff as a regular feature of the paddle and along with a flyby from the Cornwall parachute clubs plane along with the air ambulance the crowds were more than entertained. The paddle races saw children of all abilities paddling in memory of the Newquay toddler with commentary from Dean Woods and Matt Way. Matt, Joe’s Dad and event Director, said “We had probably the best weather ever and the sea conditions were perfect, as always the town, business, friends and family celebrated Joe’s memory in style. It is always an emotional charged day and we are already planning next year”. The paddle relay was won by Newquay Surf Life saving Club and, with 14 teams taking part, it was the fiercest competition to date. This years highest fundraiser award went to Cornwall Surf Life Saving club with nearly £1000 raised on the entry money and the inspirational paddler surfboard trophy was won by the Cornwall air ambulance team who finished half way through the RNLI race. The RNLI race was the most competitive to date, after a speech from Matt Way (Joe’s dad) which fired up all the lifeguards. Fistral won the relay and the Joe Way Memorial Cup for the first time, even though four of the team were in fancy dress. The Big Gun’s Trophy was won by Jordon Haynes-Love.